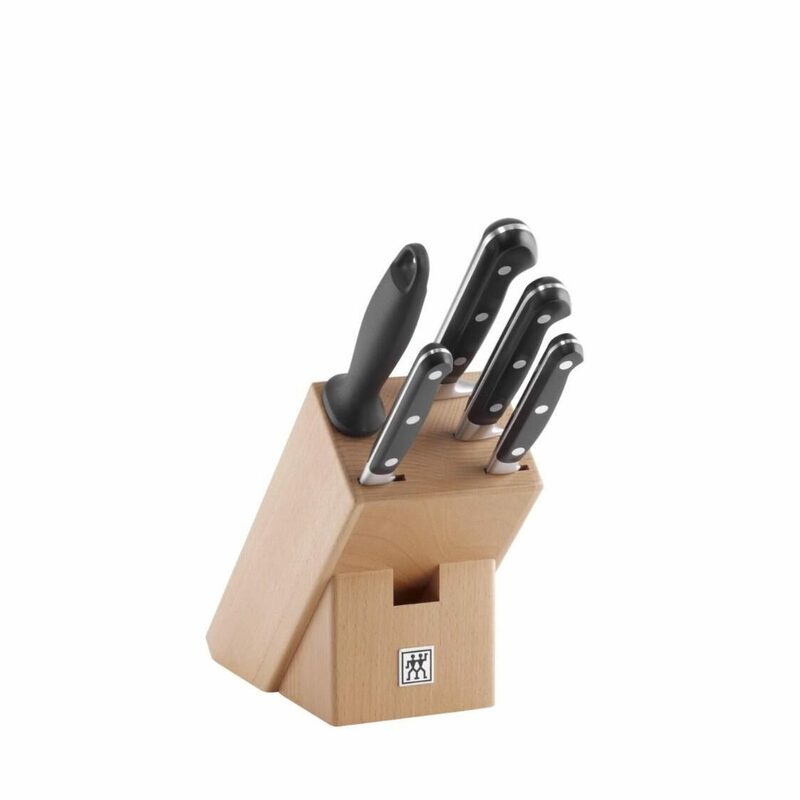 The 6-pc knife block from the PROFESSIONAL "S" series is popular with professional chefs and enthusiastic cooks the world over. Connoisseurs have come to admire the versatility, quality and functionality of ZWILLING kitchen implements. The steel used for this series of knives is characterised by an optimum balance of chrome and carbon making them especially high-quality. Each FRIODUR® blade has been forged from a single piece of steel and then undergoes special ice-hardening. High-quality knives with the very best cutting properties and outstanding comfort are the result. They are all characterised by excellent cutting edge retention, flexibility and corrosion resistance, even with frequent and intensive use.